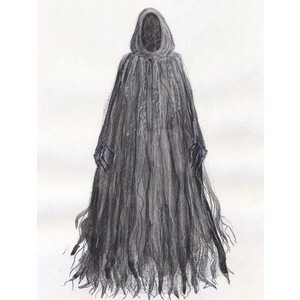 In every adaptation of A Christmas Carol that I have seen, the Ghost of Christmas Future looks like a Dementor from a Harry Potter movie. Future is a tall, black-cloaked, hooded skeletal creature with no face or voice. He simply points his bony finger as he urges Mr. Scrooge on through the dark, cold streets of London, showing him the final outcome of his life’s choices. If Mr. Scrooge does not change his miserly ways, he will die alone and spend eternity wrapped in chains to remind him of the selfish life he lived. [Spoiler alert!] In the end, Mr. Scrooge, given the facts, chooses to change his ways. As the story tells us, he keeps his vow, changing his life and the lives of many around him. Change or suffer the consequences. What can the legal industry learn from this tale of self-examination and personal transformation? Like Mr. Scrooge, lawyers, law firms, bar associations, and legal educators can examine at their collective (in)actions and their impact on the future of the profession. They can learn from the past, make smart changes in the present, so we don’t end up carrying our mistakes into the future. As I said in my last post, lawyers are struggling to adapt to change. Even new graduates aren’t prepared for a future that looks different from the past. I graduated law school 20 years ago. Like you, I received a 19th century education to practice law in the 20th century. The industry may want to practice like it’s 1999 but the world has moved on, and it expects its lawyer to move on as well. Who is our Ghost of Lawyers Future? Lucky for us we have our very own Ghost of Lawyers Future to show us the error of our ways. Richard Susskind is a one-man prognosticator whose mission in life is to get the legal industry to see that their business model is flawed and choosing to stick with it will only lead to one final conclusion: the end of the industry as we know it. His message is simple, adapt to the changes brought about by technology or be replaced by it. This might sound a bit harsh, but talk to any attorney working in an e-discovery “factory” right now and it is hard to deny technology’s first major victory. The once lucrative work that thousands of young associates cut their teeth on for decades is now being outsourced to companies charging pennies on the dollar. This is the first victory of many to come. Technology that hasn’t even been invented yet will entirely reshape the profession in decades to come. If I were graduating from law school today, I would read Mr. Susskind’s books and be very worried that my undergraduate and legal education has not prepared me for 21st century lawyering. That’s why I am so excited to teach 21st century lawyering. 21st century lawyers will need different skill sets and qualities to be successful that aren’t currently taught in most law schools. They will think differently. They will practice law differently. And most importantly, 21st century lawyers will embrace technology and use it to meet society’s legal needs. Fear, ignorance, and nostalgia will give way to modernization. Over the next month, I will talk more about these 21st century lawyer qualities and how those who seek to develop them will be the ones that have a shot at being tomorrow’s lawyers. Will these qualities and skills be enough to keep lawyers employed in the 21st century? Only the future knows.